Our Christmas vacation started 2 days ago (Thursday). It was going to be a week of relaxation and adventure in Riviera Maya in Yucatan Peninsula of Mexico. We took a direct flight from LAX to Cancun...it took only 4 hours and we were in "paradise"! Riviera Maya is about 1 hour drive south from Downtown Cancun (about 40 minutes drive from the airport). 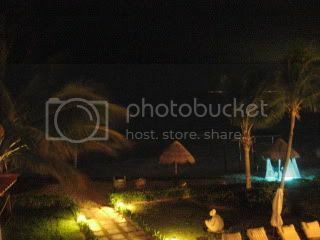 I have been to Cancun many years ago, but it was my first time to come to Riviera Maya. As soon as we checked in at the hotel and unpacked, we were ready for dinner. For our first night dinner, we picked a seafood restaurant at the hotel. They serve local Yucatan seafood there, so we were very excited. 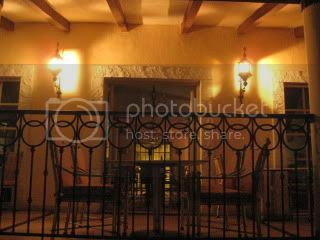 The restaurant was in a small building apart from the hotel main buildings. We got a table on the balcony overlooking the Caribbean Ocean. 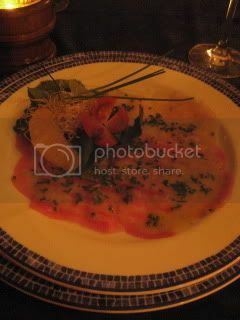 Our starters...I had trio of carpaccio which included local grouper. 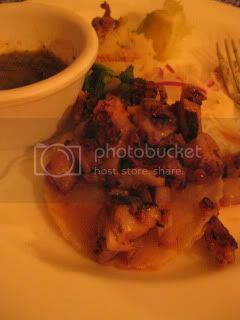 Jason had octopus tostada. Sooo fresh and sooo good. 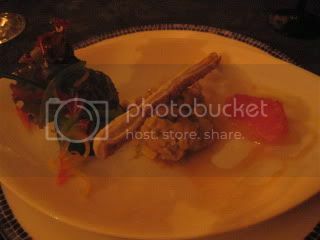 2nd course...I had shrimp chilapachole, which was served with a cute dome lid and opened at the table. 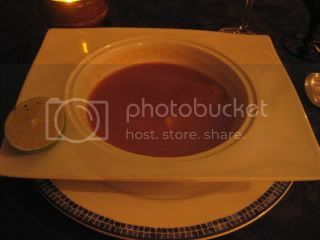 Chiapachole is a tomato-based spicy soup. It had no cream and the texture was quite light. With a little squeeze of lime, the soup was so soothing with many layers of flavors. The spice was mild, and there were shrimp, scallop, and mussels. It was so good that I thought I could eat it every day, with donabe rice! Jason had salad of shrimp in curry-flavored sauce. Very good, too. 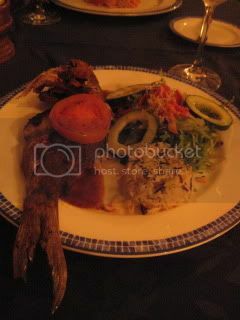 My main course was grilled grouper, which was marinated in Mexican chile and other spices! 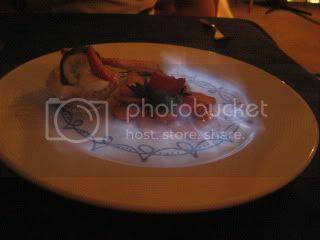 I loved that it was a simple dish with very fresh flavors. 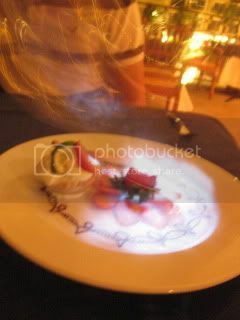 For dessert, I had key lime pie, and our waiter poured local Mayan liqueur (I forgot the name...) and lit it to serve. It became a perfect sauce for the pie. We arrived here in the evening, so we didn't get to see the whole property or town yet, but we felt we already fell in love with this place.